For those that know, I am not usually short on words. Motor mouth might even be a good fit occasionally … But talk about stepping out of the comfort box! 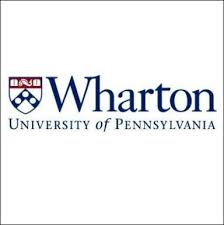 Recently I was honored and flattered to be asked to guest host a Wharton School Business radio show. For those that have been around a while, you may recall I was honored to be on Good Morning America, live from New York several years ago. That was only a couple of minutes and the producer eased our tensions by telling us we would have a dry run, which aired live nationally as it was filmed. Funny ! This Sirius gig is two hours, live, and is open for folks to call in … a bit nervous, but all good. Have a Great Monday … I am in the sky right now on a fun turn around day ! This entry was posted in Investing/Financial Planning, John Kvale, Personal and tagged Good Morning America, Radio Show, Sirius, Wharton. Bookmark the permalink. Awesome news. Congrats! You’ll be great.